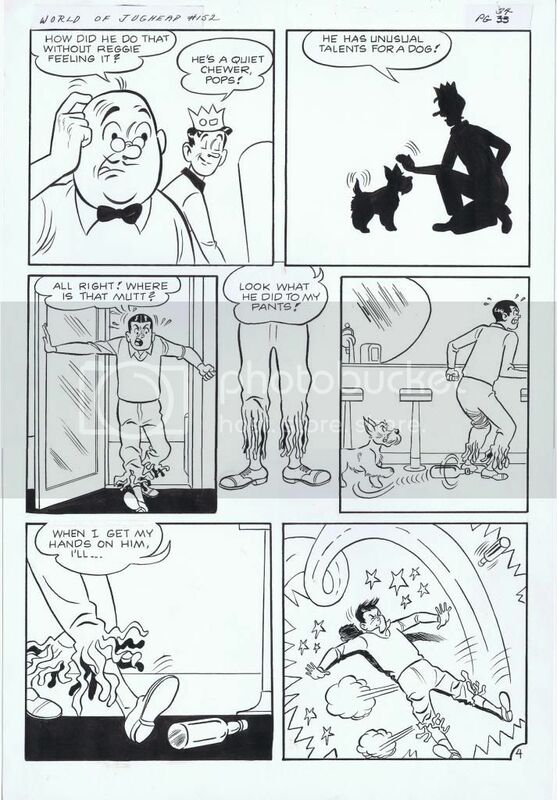 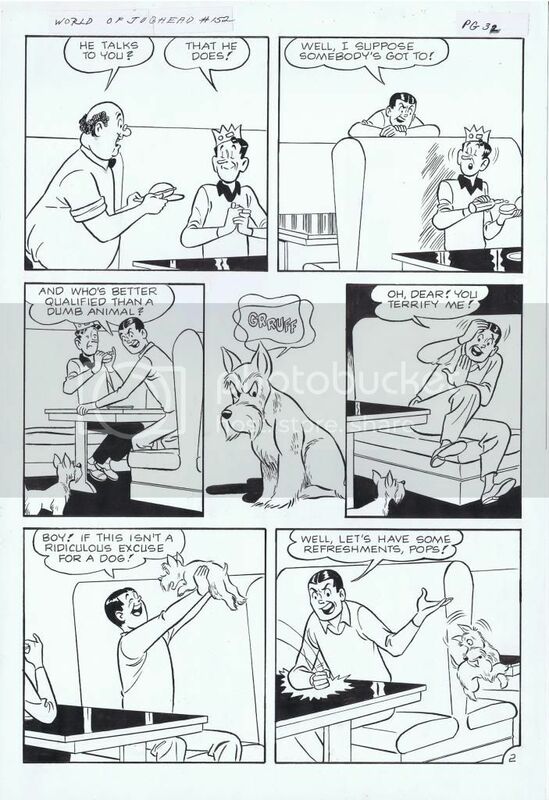 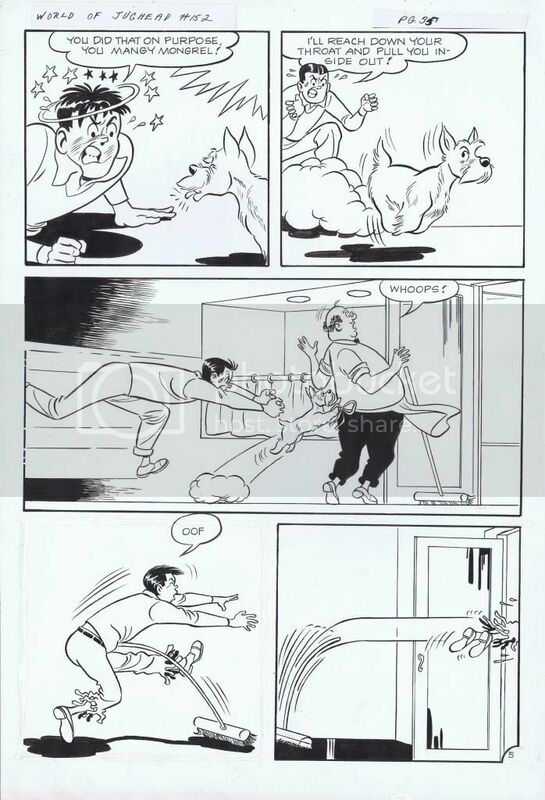 This 6-page Samm Schwartz story "Canine Caper" mentions World of Jughead #152 at the top of the page. 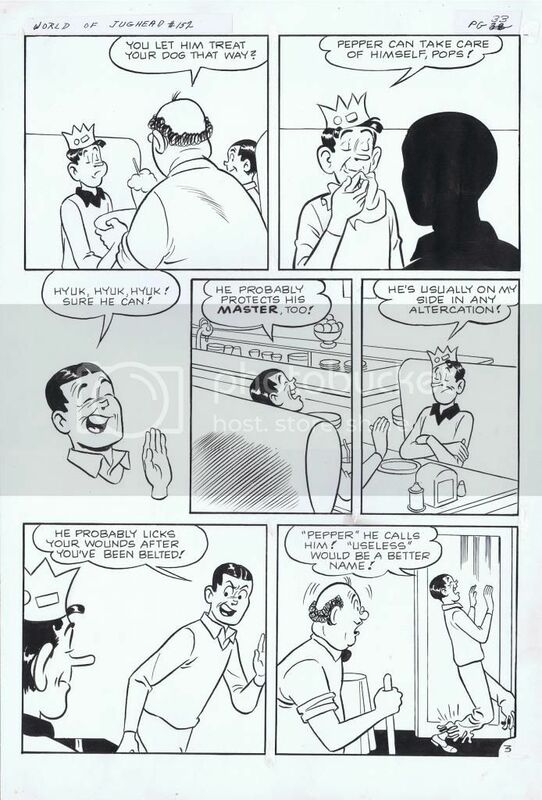 GCD cites this story appeared in Archie's Pal Jughead #97. 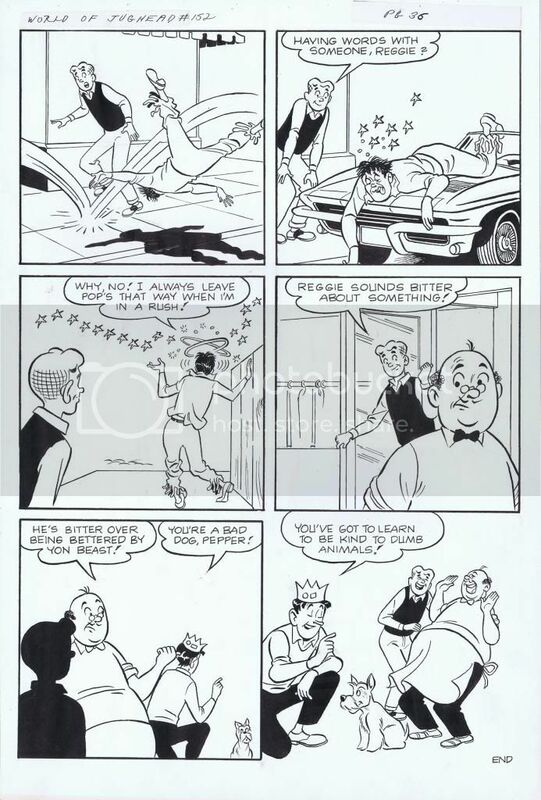 The 1963 Corvette convertible Reggie lands on nicely dates the piece. 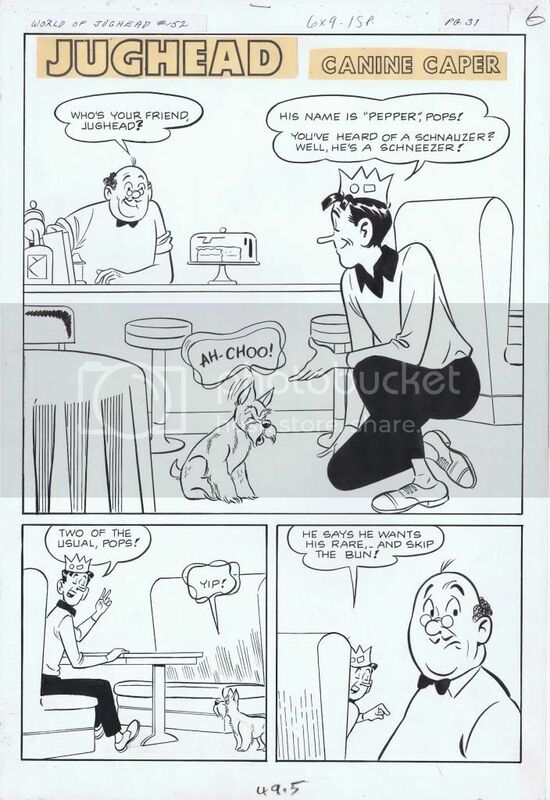 Characters featured include Pop Tates, Archie, Reggie, Jughead and his dog Pepper.